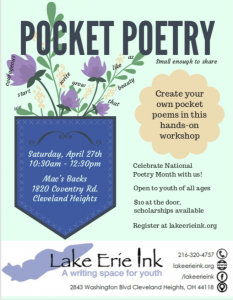 This winter youth can write with Lake Erie Ink, not only at our after school Ink Spot for 4th-8th graders, but also at our Weekend Workshops and Evening Ink Workshops for Teens. Our friend Dee Jay Doc Harrell will be spending his Wednesday afternoon at the Ink Spot and his Wednesday evenings with our teens. Participants will create digital stories in video and audio (hip hop–yeah!). 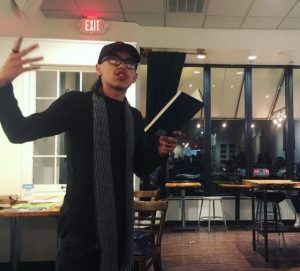 Wednesday evenings, while Doc facilitates the Hip Hop Project, other teens will meet in the room next door for the Teen Writers’ Lab, where we will explore a variety of genres including play writing, comics, poetry and narratives both true and fictional. 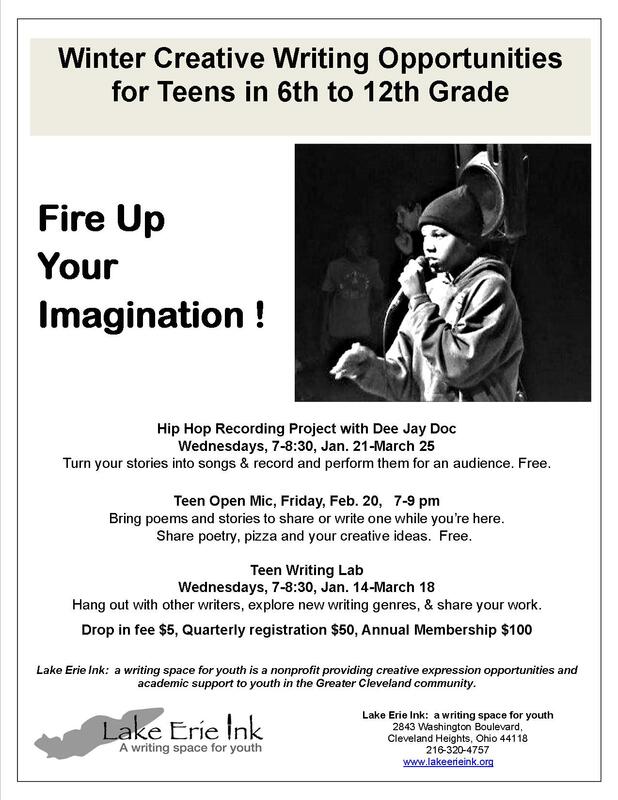 We will continue to offer a Teen Open Mic every other month and college essay workshops. 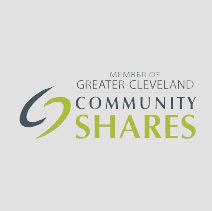 Check out our calendar for more information.